In the last article, we talked about the effects of customer service on your bottom line. Today, we are going to focus on customer acquisition versus customer retention; which one to prioritize and in which situation to increase your profitability. 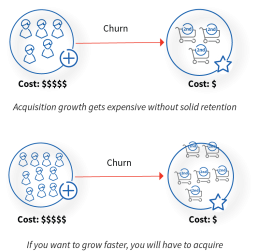 Focusing more on customer acquisition or customer retention, that is the question. But what if you can grow with best of both worlds? 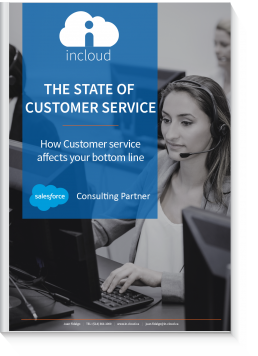 In our article last week, we saw the effects of customer service on your bottom line. Now we are going to understand what is best focusing on between customer retention and customer acquisition. It is not always easy to know which one to bet on, but we’ll try to lighten you a little. The longer you retain a customer, the more chances you have to repeat business. – 50% of the existing customers may try other products that you offer – 31% are going to spend more money. This is the direct impact of keeping existing customers, as they can buy other products. You can not only focus on retention of course because you need to acquire new customers in some way in order to grow. To do so, you need to find a strategy that includes both. The goal is to have some customer acquisition and to maximize retention. That’s it for today, but if you wanna know more about acquisition vs retention or other customer service practices, don’t hesitate to download our ebook on the right, or here. In the next article, we’ll see how to leverage technology to deliver a superior customer service!